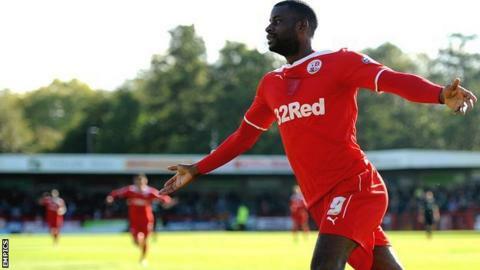 Notts County are determined to sign a striker prior to the start of the new season and are pursuing their interest in Crawley Town's Izale McLeod, reports BBC Radio Nottingham. Notts have already signed 15 players following their relegation to League Two and are also keen on an unnamed Championship forward. McLeod, 30, scored 21 goals last season but is understood to be keen to leave. The Magpies begin their season away against Stevenage on Saturday.